Windermere Real Estate/City Group LLC is moving to Kendall Yards, the new urban village on the north bank of the Spokane River near downtown Spokane. The new offices will occupy about 5,300 square feet of Class A office space in existing south and west facing space in a building just above the Centennial Trail. The two-story space is currently being built out to accommodate about 40 REALTORS, most of whom will have a two-person office. The space will feature floor-to-ceiling glass walls to take best advantage of the stunning views of the Spokane River, the city's signature Monroe Street Bridge and downtown Spokane. Windermere City Group will share the building with existing tenant Spa Paradiso, immediately adjacent to The Inlander. "In real estate, it's always location, location, location," says Joe Garst, designated broker and owner. "Our new, central location will not only help us better serve our clients from a convenient, central location but also better serve our REALTORS and support team with a spot that is near everything, near perfect!" The building is steps away from the Centennial Trail for lunchtime walks and several restaurants, including The Yards Bruncheon, Central Foods and soon to open Veraci Pizza, The Wandering Table and Brain Freeze. A community open house is planned for this summer when the construction and move are completed. Windermere Real Estate/City Group LLC is locally owned and operated. Patrick DeVries, president of DeVries Business Services, has earned the designation as a Certified Secure Destruction Specialist. This Certification allows him to speak on secure destruction topics, privacy laws, and other topics in the secure destruction industry. He also has a 'compliance tool kit' allowing him to conduct training with companies and their staff, enabling them to be compliant with the various privacy laws that may apply to them. For more information contact Pat at 509-838-1044. The Greater Spokane Valley Chamber of Commerce presents the Empowerment Summit this Wednesday, April 23, at the Mirabeau Park Hotel from 7am to 2pm. The event will feature a panel of area leaders as well as local and internationally recognized authors and speakers. The luncheon keynote, 'Be the Change Maker,' will be delivered by Tommy Spaulding internationally acclaimed speaker and author. For more information and to register go to spokanevalleychamber.org. River Park Square announces the opening of TO MARKET in their new permanent home on the second level next to Nordstrom. TO MARKET, owned by local resident, Kiley Schenk, offers a mix of locally made consigned items including wooden signs, vintage-inspired jewelry, soaps & creams, whimsical aprons, quilts, and more, plus a full selection of cards and gifts and décor. TO MARKET celebrates their grand opening this Saturday, April 26th. Wisconsinburger, a new, burger restaurant is open at 916 S. Hatch Street. The owners, are mid-westerners, one from Iowa, one from Wisconsin, and they grind the meat for their burgers every morning and make their chips and fries in-house. All the burgers on the menu are under $10 including their namesake Wisconsinburger made with with grilled onions, lettuce, tomato and Wisconsin cheese. Spokane Cheesecakes is having their grand opening this Saturday, April 26, at 10:00am at their new location, 1420 E Sprague Avenue. Phone is 509-570-0658. Join the Pink Tie Guys on Race for the Cure Weekend for The Pink Tie Affair, Friday, April 25 from 8pm-12am at The Vault Social Club, 120 N Wall in downtown Spokane. Time to Party in Pink! Live DJ's including Pink Tie Guy Freaky Fred and Pink Tie Guy Demetrius Phillips, performing his breast cancer awareness rap song! They will auction (live!) a Seattle Seahawk's Hot Pink shoe from the Superbowl winning season and silent auctions, too. Also a VIP lounge, games and prizes, and an 'Extreme Pink Ensemble' contest. Pre-sale tickets are $10 and available online at www.brownpapertickets.com/event/633084 or by phone at 208-596-0864 or 334-324-9249. Tickets are also available at the door for $20. There will be Table & Bottle service available starting at $200 which includes a bottle of Moet Rose. This will be the only seating for the event. All proceeds from the evening's event will benefit the Susan G. Komen Eastern Washington Affiliate. Fancy Cocktail attire is suggested (PINK is highly encouraged). So don your tuxes, your pink cocktail dresses or your hot pink boa and enjoy the fun! This is a night for great music & dancing, great drinks and great fun...all for a great cause! Event sponsor is Washington Trust Bank. Visit the Pink Tie Guys on Facebook for more information. Pink Ties for the event can be purchased at www.shaunrhames.com/collections/frontpage. The 2014 Women's Show is this Friday & Saturday, April 25 & April 26 at the Spokane Convention Center. This year's show features a Live fashion show with area personalities, free health screenings, live cooking demonstrations and more. New this year is a Travel & Adventure International Market and Vine & Stein wine and craft beer sampling. With over 200 booths and over $6,000 in prizes, there will be lots to see and do! Show hours are Friday, 1-9pm and Saturday, 10am-6pm. Admission is $5. Free admission for Race for the Cure participants. Visit SpokaneWomensShow.com for more details. Mark Dailey has been elected chairman of the board at Integrus Architecture. He joined Integrus in 1990 and has been a principal since 1996. He is licensed in Idaho, Indiana, Montana, North Carolina and Washington. 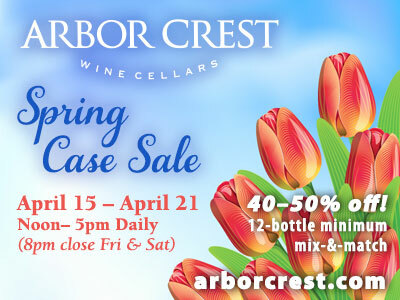 Don't miss the Wine Tasting Gala and Bottle Sale at the Lincoln Center, this Friday, April 25 from 6 to 9pm. This event, presented by the Connoisseur's Club, features up to 25 wine selections, all available for purchase. Enjoy great appetizers created by Executive Chef Steve Jensen and the Lincoln Center's outstanding culinary team. A live jazz trio will perform throughout the evening. Tickets are $28. Connoisseur's Club members receive a special pricing on all wine purchases. 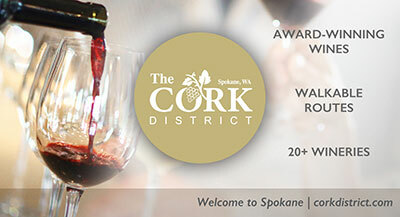 For tickets and more information, visit winetastinggala.eventbrite.com or call 509-327-8000. Lindaman's Gourmet Bistro is celebrating their 30th year in business this month! Offering great food, wine, espresso drinks and specialty cocktails, and great service in a great atmosphere! Hours are Monday through Saturday 8am to 8pm. They will be open until 9pm starting May 1 for the summer season. Visit them on Facebook, or at www.lindamans.com for more information and for special events. Lindaman's is located at 1235 S Grand Blvd, next to St. John's Cathedral. The phone number is 509-838-3000. Spokane Teachers Credit Union will have a ribbon cutting ceremony and open house for their new Hutton Branch on Thursday, May 1 at 10:30am. The branch is located at 9 S Washington. Refreshments will be served. For more information, call 509-344-2231 or email tracim@stcu.org. Unleashed has rebranded and is now Aezy (pronounced 'Easy'). Owner Chris Reilly is excited about the new name. They've increased their staff and updated their technology. Aezy focuses on website and social media advertising, web development and more. To find out more about all the services they offer, visit aezy.com/unleashed-online-media-is-now-aezy/. STCU members have elected Nick Leute to the STCU Board of Directors, which sets policy and strategic direction for the credit union. They elected Christopher Stevens to the STCU Supervisory Committee, which oversees the credit union's financial practices and reporting to members. In addition, credit union members reelected two board members: Dolores Humiston, who joined the STCU Board of Directors in 2009, and Mike Rennaker, a board member since 2011. STCU's board of directors includes 11 elected credit union members, with another three on the Supervisory Committee. They are volunteers who serve three-year terms. The Spokane Lilac Festival 2014 Armed Forces Appreciation Golf Tournament continues its tradition May 10 at the Coeur d'Alene Resort. They are looking for donations for prizes and hole-green sponsors. The Spokane Lilac Festival is a non-profit 501C-3 organization and can provide you with the proper tax deduction form at your request. If you would consider donating company gift certificate(s), gift basket(s), or an item from your business, they will give your company and donation appropriate acknowledgement at the tournament and also on the Spokane Lilac Festival website. To donate or secure a sponsorship, contact the Armed Forces Appreciation Golf Tournament Organizer, Harlan Shellabarger at 509-979-3611 or Tournament Committee Member, Jamie Sijohn at 509-939-5980. For more information, visit www.spokanelilacfestival.org. Trindera Engineering, an electrical and control systems engineering and consulting firm based in Coeur d'Alene and Spokane announces the recent hiring of James Fawson as Electrical Project Engineer for the Municipal Department. Fawson will be the Electrical Project Engineer for a variety of municipal, commercial, and industrial projects at Trindera. He has a B.S. in Electrical/Electronics Engineering from California State University and recently was the Associate Engineer at Pro Unlimited, Inc. in Sacramento. When Robert Rigo received a layoff notice after 30 years in the food service industry, he knew his designs for a commercial farm would need to develop sooner than anticipated. The good news was that Rigo already had much of the foundation in place, having raised cows, sheep and pigs for years on a 20-acre patch of land in the West Plains. Rigo's commitment to environmentally-friendly farming - no GMOs, low-pressure irrigation, grass-fed livestock and organic fertilizer - would drive the new venture, known as Rigo Ranch and Natural Market. Now in his second year of business, Rigo is looking to expand into produce, mapping out an extensive garden on his property that could include close to 40 types of vegetables, not to mention strawberries, raspberries and blackberries. When the Cheney Farmers Market opens on June 10, Rigo Ranch will be represented with a permanent booth. Efficiency and flexibility have characterized Rigo's early tenure as a rural businessman. When the West Plains' consistently heavy winds wreaked havoc on his sprinkler system, he adroitly moved his irrigation system underground. He is intent on composting and saves seeds to cut back on costs. Overall, Rigo said he is trying to generate a health-conscious, quality product for a price that doesn't break the bank. He emphasizes that it is possible "to put protein on the table without antibiotics or hormones." Rigo is also hoping to have an educational component to his business, part of what he calls, "starting the dialogue about food." When it comes to the resources that helped him cultivate Rigo Ranch, Robert is quick to point out SNAP Financial Access. Rigo took the non-profit's, free six-week Small Business Success Workshop and consulted with SNAP counselors on ways to promote and sustain the enterprise as it started from the organic ground up. He found out about SNAP through the Self-Employed Assistance Program (SEAP) that allows enrollees to receive unemployment assistance while working to start a business. On the promotional front, Rigo said SNAP helped him understand "how to get your name out there with different marketing techniques." As he continues to add layers to the farm and market, Rigo said he hopes to bring on employees and do his part to boost the local economy - all the while raising awareness about the value of locally produced food. To learn more about SNAP Financial Access and programs like micro-enterprise development, housing counseling, foreclosure prevention, credit repair, second-chance banking and more, call 509-456-7106 or visit www.snapwa.org. Southsiders Toastmasters Club at St. Luke's Rehabilitation Center invites the community to a free Open House event on Monday, April 28. "Toastmasters provides a supportive and positive environment where members have the opportunity to develop their communication and leadership skills," says Kathy Hansen, Division Governor presiding over clubs in the Spokane area. Guests will have the opportunity to experience a typical Toastmasters meeting. The meeting's Toastmaster of the day will explain roles played by several members to facilitate the meeting. Attendees will hear short speeches by members at various experience levels. In another portion of the meeting, evaluators will offer constructive evaluations of the speeches given earlier, and a General Evaluator will comment on the meeting as a whole. The Open House will be at 5:45pm, Monday, April 28, at St. Luke's Rehabilitation Center at 711 S. Cowley, Room LL1, Spokane. Regular meetings are held weekly (Tuesdays) at the same time and location; guests are welcome. More information: alanbisson@comcast.net, 509-999-7278. You can also find them on Facebook. For more information, visit www.toastmasters.org. Spokane Public Radio and City Cable5 present a free Health Forum, Navigating Obamacare, Tuesday, April 22 from 6:30-8:30pm at the Spokane City Hall Council Chambers, 808 W Spokane Falls Blvd. The event will be moderated by Doug Nadvornick with a panel discussion of the changes that the Affordable Care Act has brought in the last six months. For more information, visit kpbx.org.